Who would want to join me for tea? We can have some Green Aliens from Mars and a cup of Old Town White Coffee? 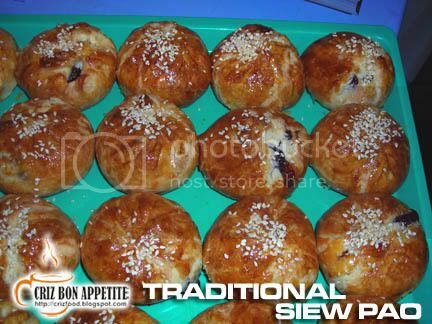 Most people have not seen this so called fortune buns as they can only be found in one “Pasar” in Plaza Perbandaran Taiping, Perak (Taiping Bowling Centre is at Level 3). What are they called? 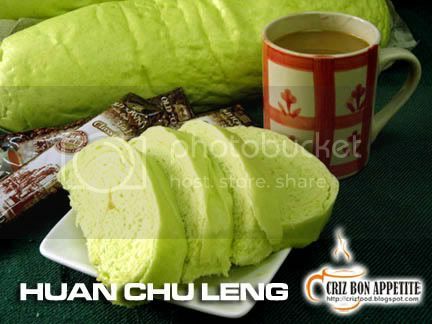 They are called Huan Chu Leng (Potato Dragon in Hokkien dialect). 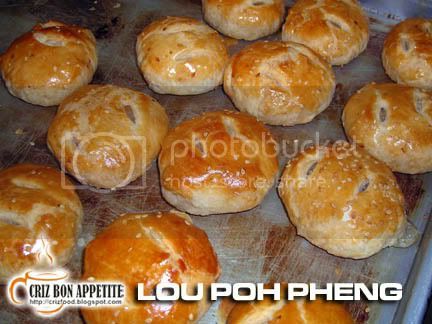 Some will call these buns Mee Koo (Steam Tortoise Buns) as the texture for the Huan Chu Leng is exactly the same. Tortoise is believed to have long lives and thus Mee Koo symbolized longevity. Mee Koo were originally made to celebrate birthdays, or given as an offering to the deities and to the King of the Hungry Ghosts during the Hungry Ghost Festival. It usually comes in the shape of a pink tortoise or peach. Sometimes, they do produce yellow ones for the birthdays of deities. You can get them easily anytime throughout the year. It has become a delicacy amongst the locals, whether it is eaten plain, toasted or fried with eggs like French toast. 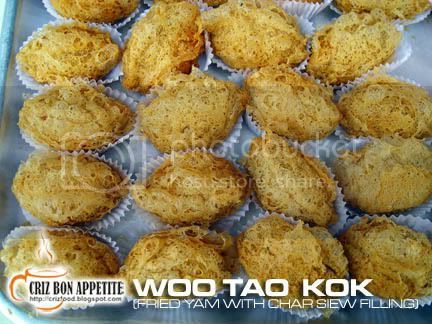 Some of the Mee Koo are filled with peanuts mixture or lotus seed paste. 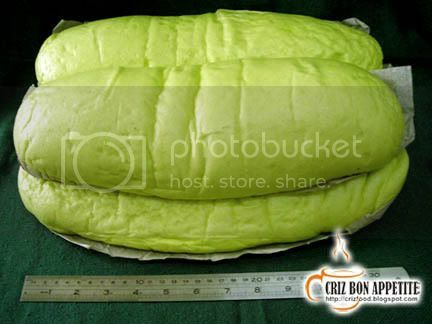 However in this modern era, these traditional Mee Koo have evolved into something different such as the Huan Chu Leng which is about 14” in length and Pandan flavored. Moreover it has either kaya (coconut egg jam) or red bean paste rolled up inside as fillings, somewhat like Swiss rolls. 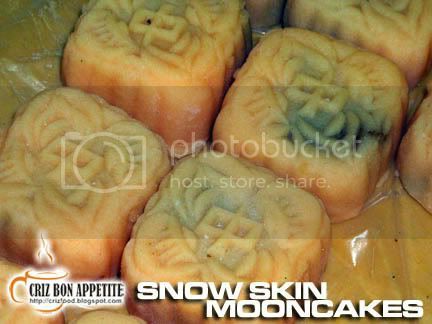 The Huan Chu Leng also comes in other versions such as the plain white ones with the same fillings or the yellow ones with chocolate. 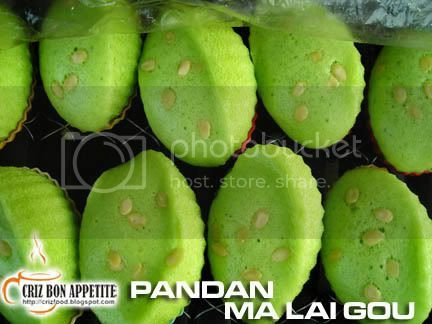 Somehow, I still prefer the Pandan flavored with kaya which is only RM3 each. 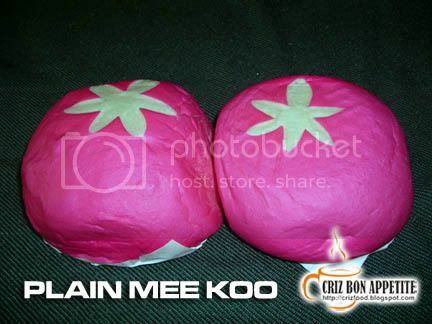 The stall is also famous for its Mini Mee Koo (RM3 for a pack of six) which is a round pink colored bun with a flower design on top. I did not manage to get them but it looked like the photo below but with a much more refined and thin flower designs. The roads here are rather messy as many of the roads are one-way. If you are still unsure, just ask for the direction to “Plaza” or “Taiping Bowling Centre”. The Hokkien speaking locals would be glad to direct you there. Address: Plaza Perbandaran Taiping, 34000 Perak, Malaysia. If you are a coffee lover, you should not miss out the stall along the outskirt of Tanjung Tokong. 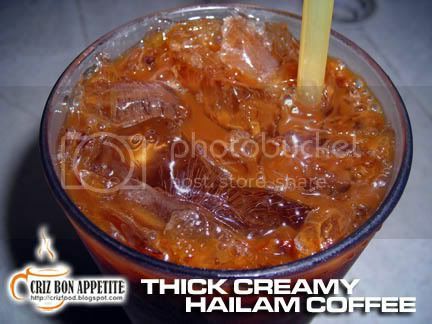 This is one of the best stalls which served good thick and creamy local Hainanese coffee. You can have it either iced or hot. The great thing is that you only pay as you would as in any local coffee shops. 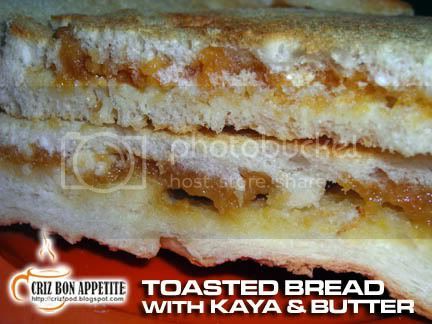 On top of the aromatic coffee, you can also savor their famous “Roti Kiap” aka Toasted Bread with Coconut Jam (Kaya) and Butter. It comes with many versions. You can spread it on top of the toasted bread, in between the bread or even taken with hard boiled eggs. A great choice for tea time. The kaya is homemade to perfection as you can taste the richness of the eggs in it. 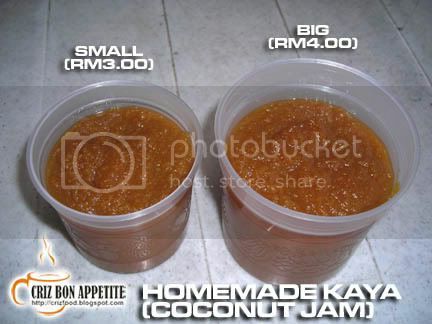 You can buy back the kaya in a small plactic container (RM3.00) or in a big one (RM4.00). 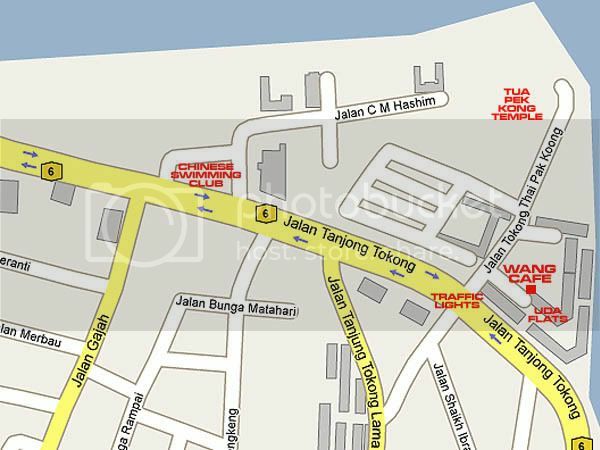 If you are driving from town towards Tanjung Tokong, you will pass by the traffic light with Island Plaza on your right. Drive further until you reach another traffic light (Tari Burger is on your left). Drive further and you will reach a curve with another traffic light. Keep to your right and turn right into the road. Turn right again and you will see some stalls. Wang’s Café is just at the corner. 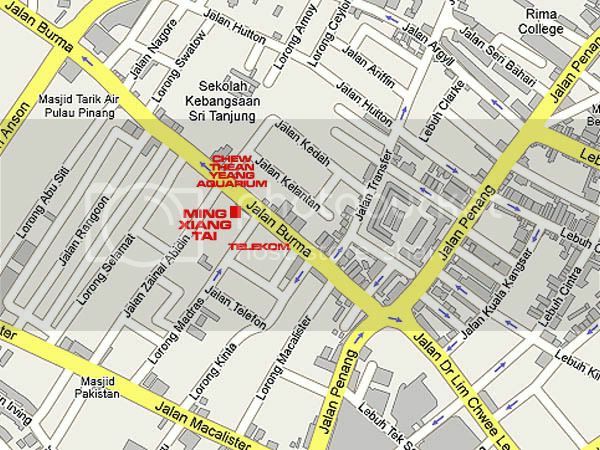 Address: J-6, Gerai UDA Fasa 3, Tanjung Tokong, 10470 Penang, Malaysia. 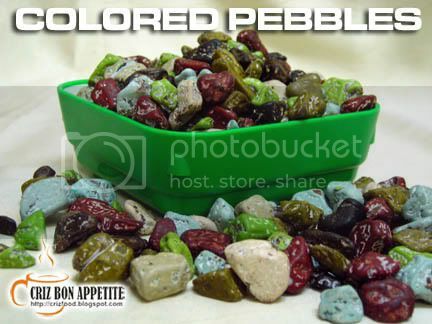 Arghhh… I have been hooked on those colorful pebbles for days. I just can’t stop myself from munching these colored stones ever since I attended AMBP’s VIP invitations to the Genting’s Exclusive Dreamz Magic Show on Sunday. My friend said that I have gone nutty. Have I? Haha! Don’t get me wrong. I am still as sober as always. It’s just that I love the taste of the rocky version of M&M. Of course, M&M does not produce this. 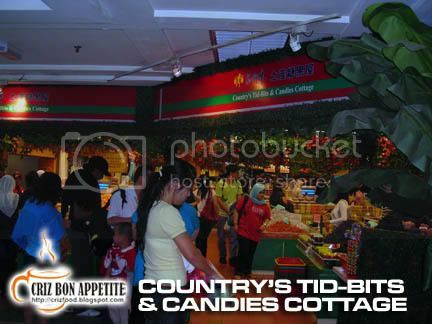 I got those yummy chocolates from COUNTRY’S TID-BITS & CANDIES COTTAGE at Genting Skyway Complex. This is so far the largest tid-bits shop I have ever been to where I can try out everything without worrying whether I have to pay for them. 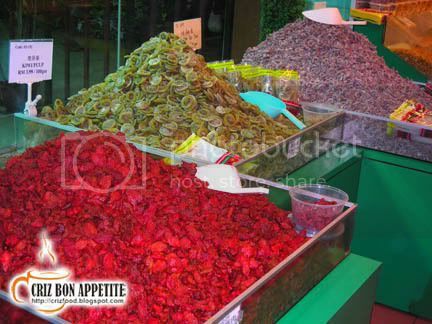 The shop will allow you to try out whatever preserved fruits, vegetables, nuts, cookies, sweets, jelly beans, biscuits, crackers, etc that you would love to buy. Just fill in the available plastic bags or containers, weigh them at the counter and pay for the amount. It’s so simple. 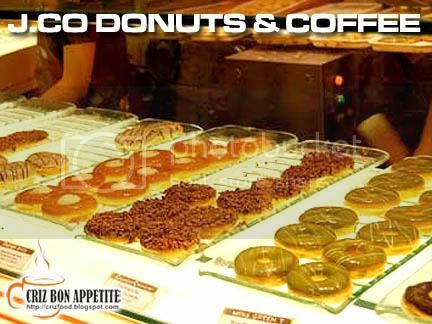 Can you imagine going into a shop and seeing mounts of your favorite munchies at every corner of the shop? There are just too many branches to share with you the map and GPS reading. Just refer to the addresses and you sure won’t stop munching something at all times. LOL! 69000 Genting Highland, Pahang, Malaysia. Bandar Sunway, 46160 Petaling Jaya, Selangor, Malaysia. Maybe you are not aware but Penang has another new shop selling nice and oven fresh pastries to keep your mouth nibbling at all time. 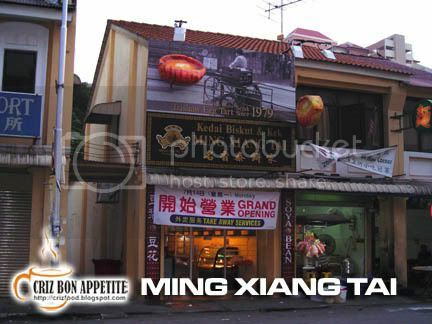 Originated from Teluk Intan, this shop provides one of the best egg tarts and puffs around Penang. The business started as early as 1975 in a small bungalow in Teluk Intan. By 1979, they started using trishaw to sell the delicacies in trays. That’s the reason you can see the trishaw as part of their logo. 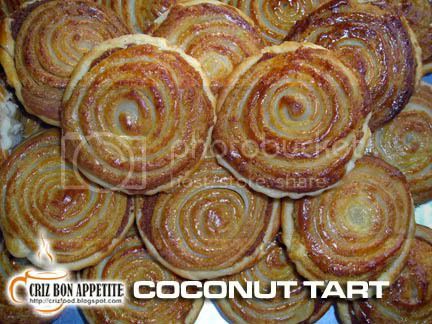 What made the pastry so irresistible is that they are handmade until today and the recipes are of the original for the past 30 years. 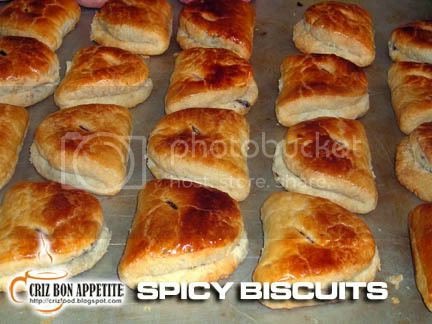 Even the fillings for the pastries are of selected choice pieces of meat and ingredients. The pastries come in different sizes. Some of them are bite sizes and are great for parties and office meetings. If you plan to have functions or intend to make them as gifts, do try to call up and make your orders. The oven fresh pastries get snatched up real fast. 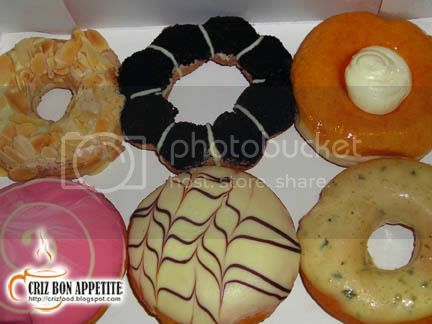 Here are some of the pastries which you can get from the shop. To find the shop is rather easy as there is a big signboard in front that shows an elderly lady on a trishaw. If you are coming from Komtar into Jalan Burmah, just drive further up until you reach a traffic light in front of Telekom. 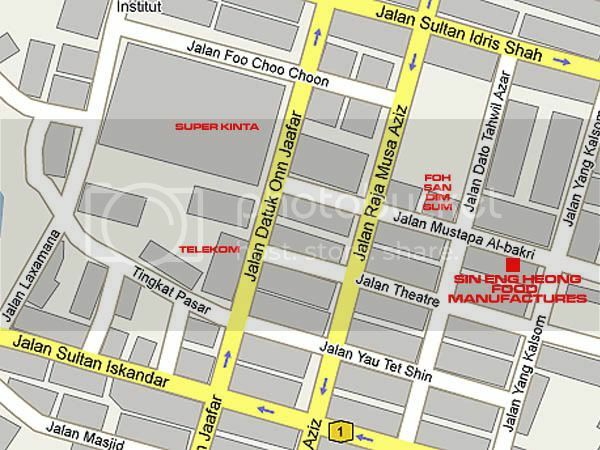 The shop is just after Lorong Madras on your left. Chew Thean Yeang Aquarium is just diagonally opposite this shop. 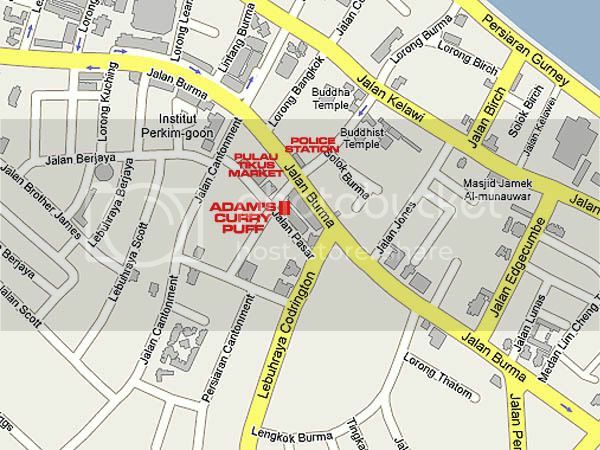 Address: 133 Jalan Burma, 10050 Penang, Malaysia. I always love to bring back something nice and unique for my parents to try when I am somewhere out from my hometown Penang. 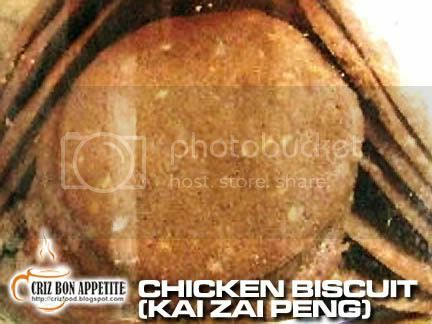 Last week’s half day trip to Ipoh was a worthwhile one as I managed to get the famous salted chicken as well as some yummy biscuits for my family. 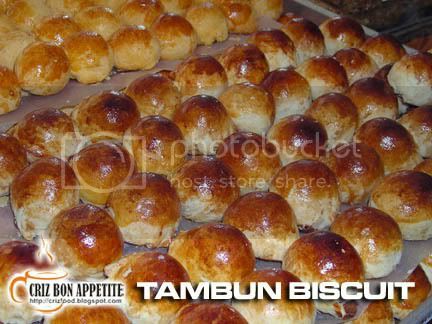 Thanks to J2KFM for introducing me to this wonderful biscuit manufacturer’s shop down in Ipoh. 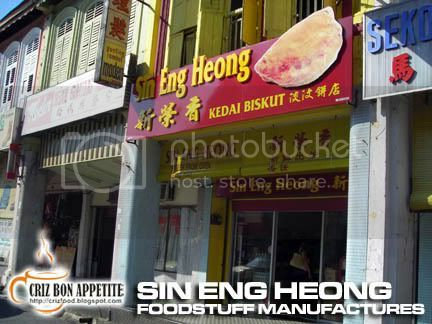 One step into Kedai Biskut Sin Eng Heong, you can practically smell the aroma of freshly baked biscuits everywhere. There were many types of biscuits laid on the tables as well as the shelves. 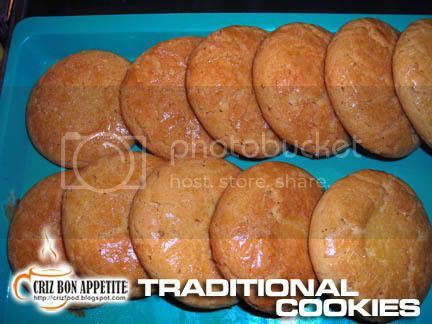 Most of those biscuit would be sold out even before the owners have the time to pack them into individual boxes. Now you know how fresh those biscuits are. 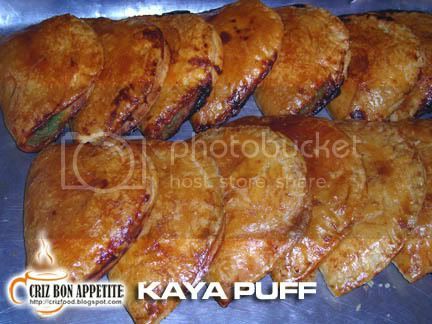 The most popular biscuit sold in the shop is their Fluffy Kaya Puff. I have not tasted any that are as delicious as those sold there. Now I am regretting not buying more back home. 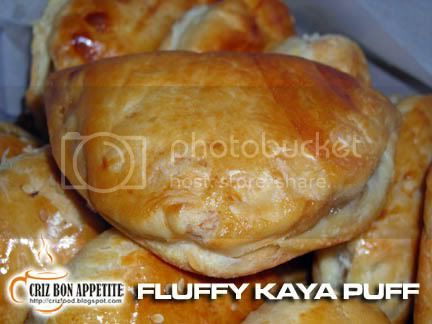 Here are the photos of the yummy Fluffy Kaya Puff at 50sen each and you can get them to pack for you in a box of 5’s or 10’s. 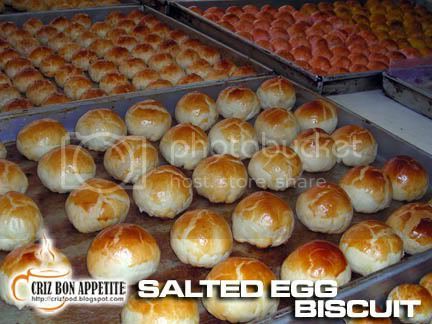 Other than the kaya puff, you can even try out their Lou Poh Peng, Salted Egg Biscuit, Spicy Biscuit, Tambun Biscuit (plain, orange, pandan flavored), mini mooncake (baked and snow skin) and many other confectionaries. There were just too many to name here. 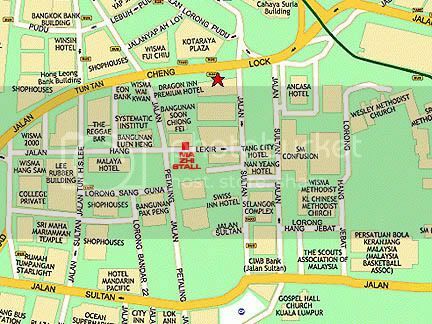 Getting to the shop would not be hard as Sin Eng Heong is just diagonally opposite the famous Foh San Restaurant along Jalan Mustapha Al-Bakri (formerly Jalan Clare). 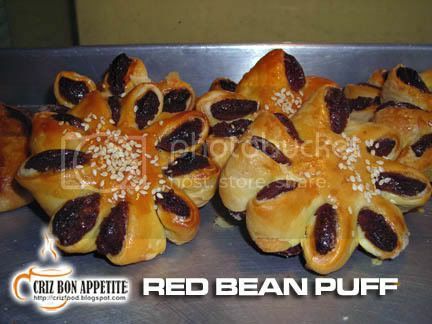 One thing to take note is that please place your orders for the foodstuff, especially the Fluffy Kaya Puff during weekends as they are sold off very early. 64, Jalan Mustapha Al-Bakri (Jalan Clare), 30300 Ipoh, Perak, Malaysia. 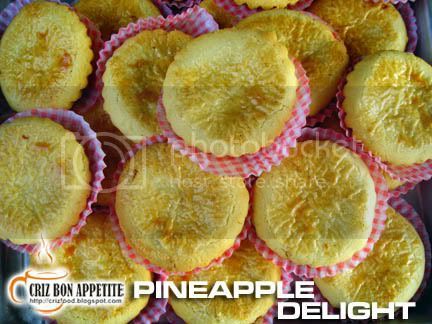 Whenever you think of having some little tarts or some finger food, you would think of having them in Dim Sum shops. 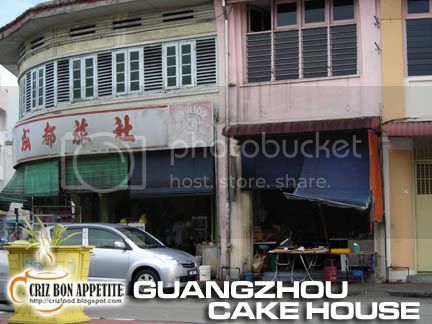 Maybe you are not aware that there is this little shop along Lebuh Carnavon that sells those yummy delights fresh and hot without having to pay as much if you were to dine in a Dim Sum shop. Guangzhou Cake shop has been there for many years and is manned by a few elderly folks. They produced different type of delicacies that will suit your breakfast, lunch as well as tea needs. Some of the food are ideal if you were to have parties. 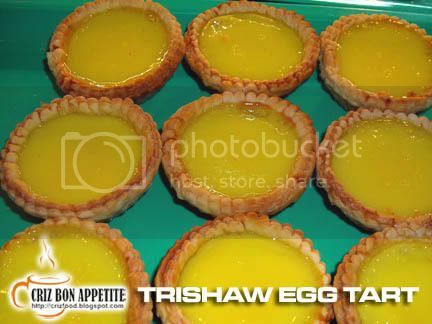 Egg Tarts, especially those mini ones are the hot items in the shop. These are normally sold out before 10am. I was so engrossed in munching my Mini Pandan Egg Tart that I totally forgot to take some shots. Quite typical of me when something that nice are laid right in front of my eyes. 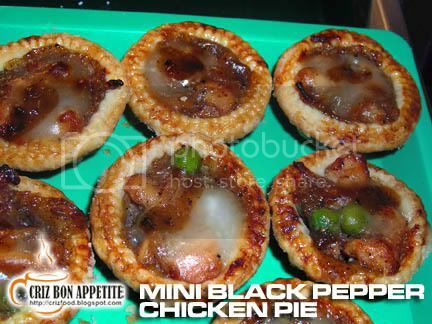 Anyway, you can still take a peek at those mini tarts in the photo above. 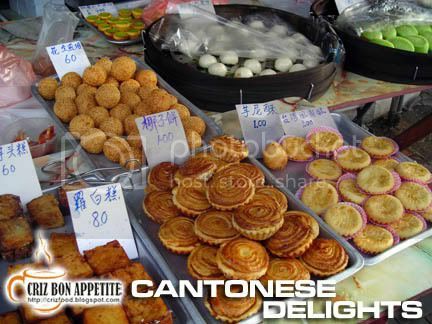 On a normal week day, the shop will produce tens of different type of delicious treats such as Egg Tarts (Mini Plain and Pandan Flavored as well as plain normal sized ones), Yam Cake, Fried Yam Cake, Radish Cake, Pineapple Tarts, Coconut Tarts, Ma Lai Gou (Pandan or Brown Sugar), Woo Tao Kok, Char Siew Buns, Siew Bao, Glutinous Rice Ball with peanut filling, Sesame Glutinous Rice Ball with peanut filling, Char Siew Sou, Or Nee, Rock Biscuit and many more yummies. Here are some of the items which I had taken shots of. 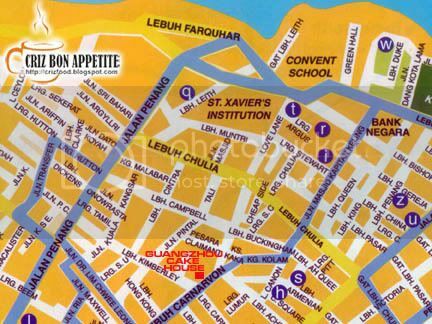 If you are coming from Prangin Mall along Jalan Dr. Lim Chwee Leong, turn left into Lebuh Carnavon. Drive further until you have passed the second road (Lebuh Kimberley) on your left and you will see the unnamed shoplot displaying those yummy delicacies right in front of the shop. Normally, it would be an elderly lady selling those yummies. Make sure you reach there early to get the best choices or just give them a call to place your order. 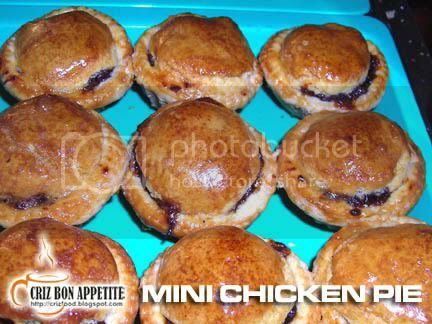 My recommendation would be the Mini Pandan Egg Tarts (a box of 10’s @ RM4). Make sure you consume them fast while they are fresh. Leaving them for later consumption will make the surface dry and crack. 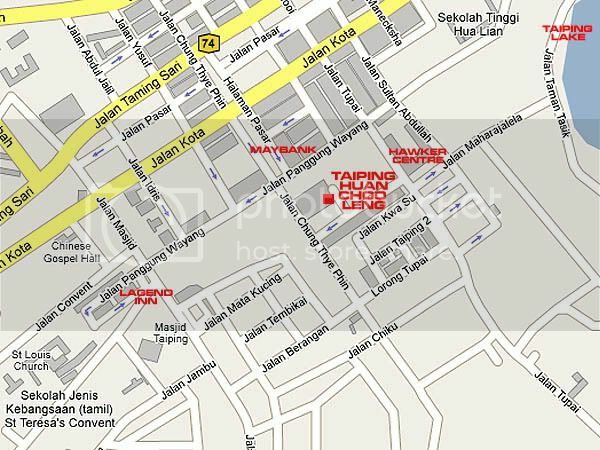 Address: 158, Lebuh Carnavon, 10100 Penang, Malaysia. 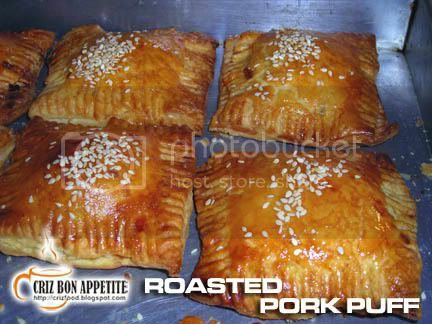 Are you tired of eating curry puff with only spicy potato as the filling? 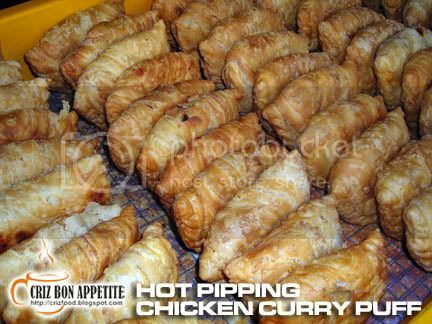 You should try out Adam’s Famous Chicken Curry Puff in Pulau Tikus, Penang. 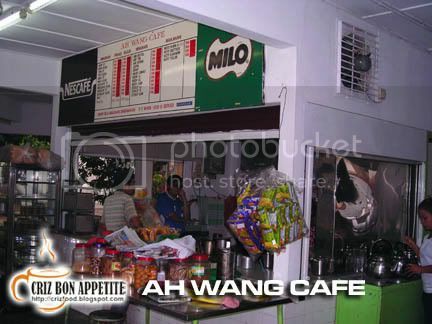 In fact, this stall served the best curry puff in Penang. If you timing is good, you will get pipping hot curry puff straight from the stove. Not only is the curry puff steaming hot, it also has chunks of chicken meat in it. On top of that, it’s only RM1.40 each (will increase to RM1.50 at an unconfirmed date) and big enough to keep your tummy filled. Other than the curry puff, you can also try out the Nasi Lemak (Steamed Coconut Milk Rice) with spicy anchovy and a slice of egg. 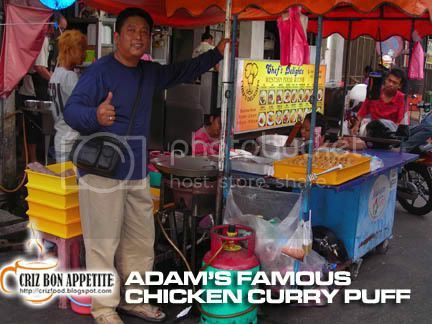 As for orders for parties, Adam does not provide anything smaller than that size of Curry Puff. Can you imagine that most of the time these are sold off within minute? 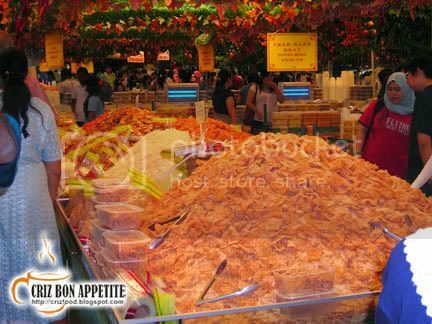 On an average day, Adam would have to prepare safely about 800pcs of Curry puff to be sold off at both his stalls. Just turn into Pulau Tikus Market at Jalan Pasar and you will see the stall at the junction of Jalan Moulmein. 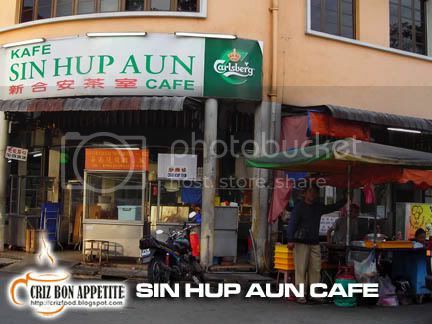 The stall is in front of Sin Hup Aun Café where as the Green Lane stall will sell in front of Kedai Kopi Genting. Pulau Tikus: Lorong Pasar, 10350 Penang, Malaysia. Green Lane: Lorong Delima 3, Penang, Malaysia. 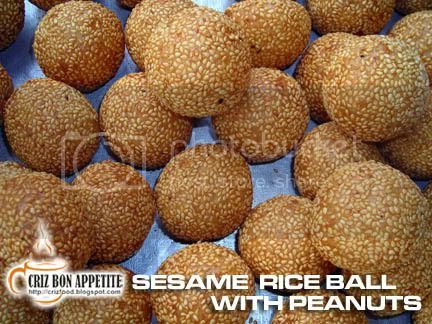 Ma Zhi or steamed blended glutinous rice mixed with pounded peanuts, sesame and sugar is one of the tasty desserts available in Malaysia. 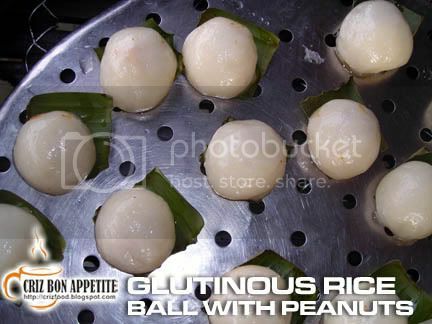 Hot steaming glutinous rice is cut into small cubes and coated with a mixture of the three pounded ingredients mentioned above. 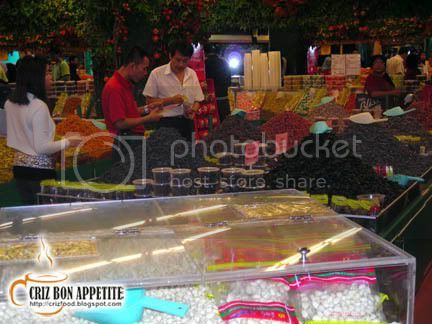 Certain stalls, especially those in Penang will garnish the Ma Zhi with fried onions. I have came across a stall down in Kuala Lumpur’s Chinatown (Petaling Street) selling a different version. Madam Tang has been selling these yummy desserts for years there. The Ma Zhi comes in different colors and flavors. You can have it original (RM3.50/box) or you can have the mix flavors (RM5/box). 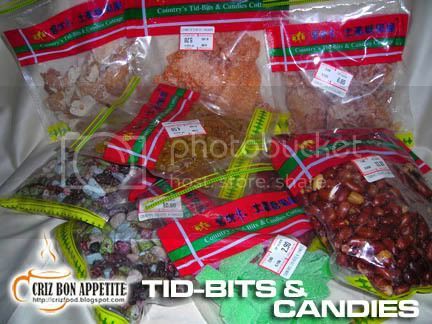 The flavors available are apple, banana, grape, kiwi, lemon, lychee, mango, orange, pineapple, ribena, strawberry, black glutinous rice, or pandan. 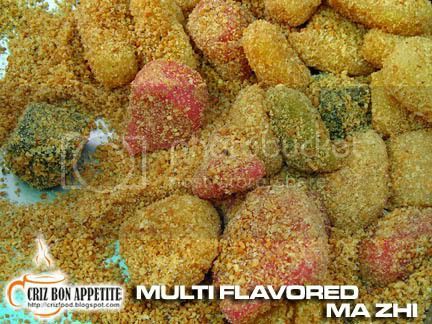 With so many flavors available, it is up to your luck to taste what are the mixed flavors. If you are in for a new experience, this is a must try if you are around that area. As for my personal preference, I somehow missed the Penang’s original version with fried onions as it is softer and warmer than the one in Chinatown. Finding the stall would not be hard. Walk into Petaling Street, Chinatown’s main entrance from Jalan Tun Tan Cheng Lock (opposite Kota Raya) and you will reach a crossed junction. Hong Leong Bank is at the corner on your left. 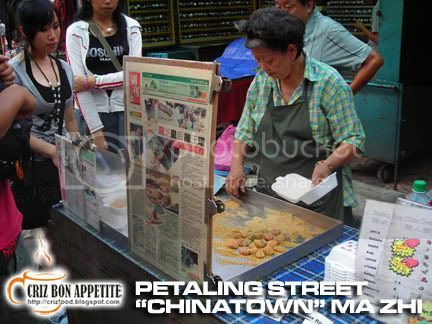 Turn left into the road (Jalan Hang Lekir) and you will see Madam Tang selling this delicacy on the left. 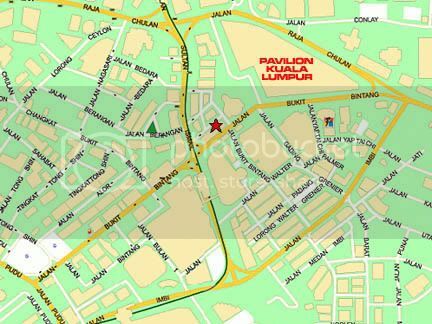 Address: Jalan Hang Lekir, Kuala Lumpur, Malaysia. 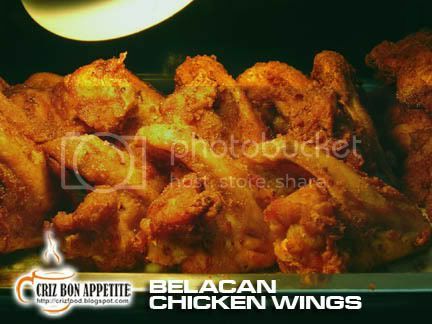 If you are in Malaysia, you should try out the famous local fried chicken, the Belacan Fried Chicken. Belacan is actually a shrimp paste or sauce, made from fermented blended shrimp, sun dried and then cut into fist-sized rectangular blocks. It is raw and need to be toasted before use. Many foreigners are unfamiliar with this condiment as the smell could be too repulsive for them but it is one of the most important ingredients for most of the Malaysian cooking. Nowadays, you can get the processed version of the belacan (Maggi) in bottles, selling widely in the local supermarkets. 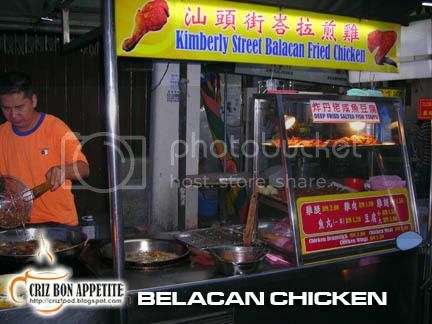 I have tried many of such belacan fried chicken stalls in Penang but none can beat the taste and crispiness of the one selling along Kimberley Street. 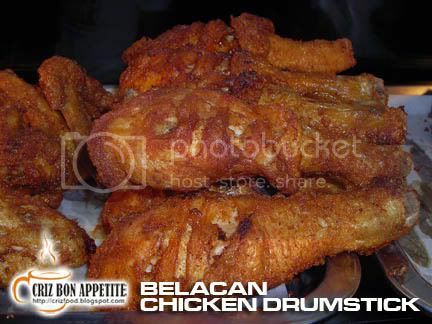 The chicken meat is tender and the belacan taste is well marinated into the meat. The taste is just nice for my taste bud as it is not overly pungent. There are many choice of the chicken that you can buy from the stall, namely the chicken wings, drumsticks, thighs, breast meat, etc. 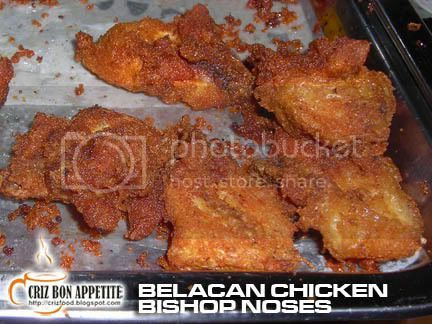 If you are in for other parts of the chicken, there are also the bishop noses, necks and other intestinal parts. While you are there, do try out their homemade salty fish tofu. 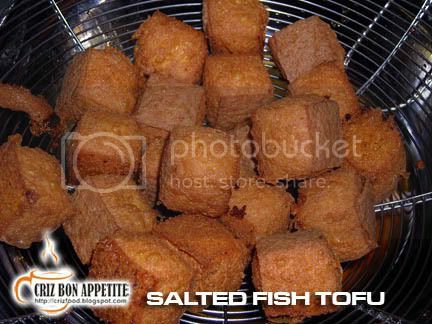 The tofu cubes are deep fried until golden brown color. It has the softness of tofu and the fragrance of salty fish. 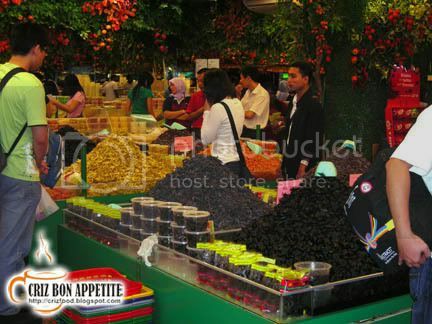 This stall can be considered for party ideas as the food here is cheap and good. The stall is situated by the roadside along the busy hawker area of Kimberley Street. 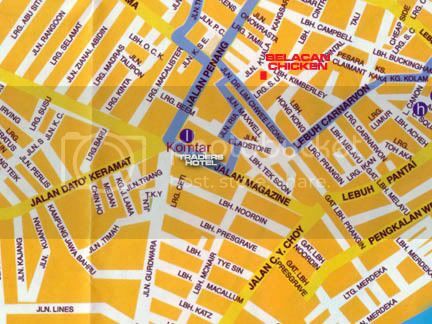 If you are coming from Penang Road into Jalan Dr. Lim Chwee Leong, turn left into Jalan Sungai Ujung. When you reach the junction of Kimberley Street, turn left and you will see the stall. Address: Kimberley Street, Penang, Malaysia.